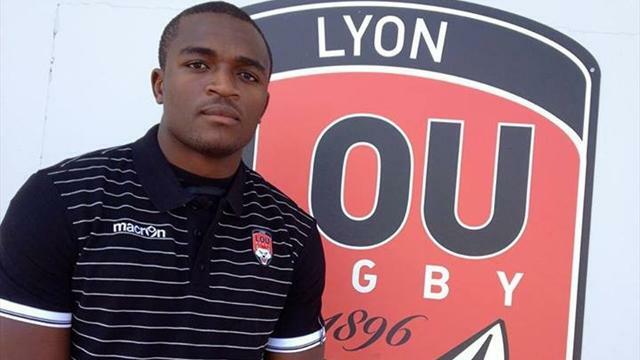 Kenya Rugby sevens super nova Willy Ambaka has made history after he formally joined Lyon Olympique Universitaire at team that plays in the French second tier. There have been other players from Kenya who have played in French leagues. But none have played at this level. The others are former Kenya sevens winger Ted Omondi, prop Derrick Wamalwa and former Kenya XVs winger Dan Wekhu. Last season Ambaka scored 24 tries during the IRB sevens circuit and was short-listed in the IRB sevens player of the year list. His contract is for one year with an option to renew. The 94 kg Ambaka is seen as a replacement for Remy Grosso who has joined top tier side Castres. He will add steel and unpredictability to the Lyon backline. Most Lyon fans appear to have developed a wait and see attitude with regard to Ambaka as they are not sure if his success at sevens will translate to 15 a side rugby in the French second tier. His success at Lyon could encourage more clubs in the northern hemisphere who are obsessed with South African players to explore Kenyan rugby. This entry was posted in Kenya Rugby News and Commentary. Bookmark the permalink.